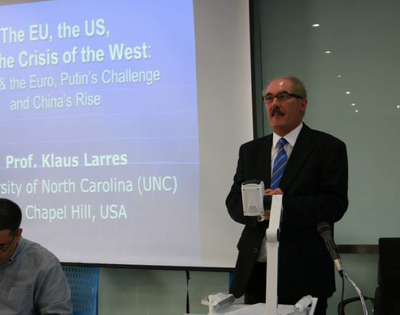 Speaking - PROF. KLAUS W. LARRES, PH.D.
2018, Dec. 21 - "U.S.-China-Europe: Conflict and Cooperation - the Strategic and Military Dimension," MiDAS (Malaysia Institute of Defense and Security), Ministry of Defense, Kuala Lumpur, Malaysia. 2018, June 21 - "Lindau Nobel Laureate Prepartory Symposium" in Beijing, opening address and participation in panel discussion at the National Science Foundation of China. 2017, October 5 - "The Dawning of a New Global Order? Germany/EU & China in the Trump Era" - lecture & discussion, Contemporary China Studies Lecture Series, University of Melbourne, Australia. 2017, April 27 - "The Trump Effect: Right-wing Populism and Elections in Europe" - lecture & discussion at Baptist University, Hong Kong. 2017, April 5 - "Age of Uncertainty: the U.S., Europe, and China: the Decline of the Global Order and what to do about it" - Spring 2017 Hartman Hotz keynote lecture in Law & Liberal Arts, University of Arkansas, Fayetteville. 2017, March 8 - "Donald Trump, Angela Merkel, and China: The Dawning of a New Global Order?" - lecture & discussion, Institute of Advanced Study, Princeton, NJ. 2016, August 30 - "The China Factor in Transatlantic Relations: Germany and the US's different policies toward China" - lecture & discussion, Institute for Far Eastern Studies (IFES), Kyungnam University, Seoul, Korea. 2016, July 14 - "Transatlantic Dialogue on China," opening paper and discussion with members of the German Chancellery, the German Foreign Ministry, the U.S. embassy in Berlin and members of the SWP think tank; confidential seminar. 2016, April 10 - "The Iron Curtain, the Berlin Wall, and the Walls of the Present," Enid and R. Crosby Kemper keynote lecture at the National Churchill Museum, Fulton, Missouri. 2015, February 11 - "Churchill as Peacemaker - Lessons for the 21st Century," annual keynote lecture 'Lessons in Leadership in the 20th Century,' Exeter College, Oxford University, UK. 2019, April 6 - "Learning and Ignoring the Lessons of Versailles," Carolina Public Humanities, UNC-Chapel Hill. 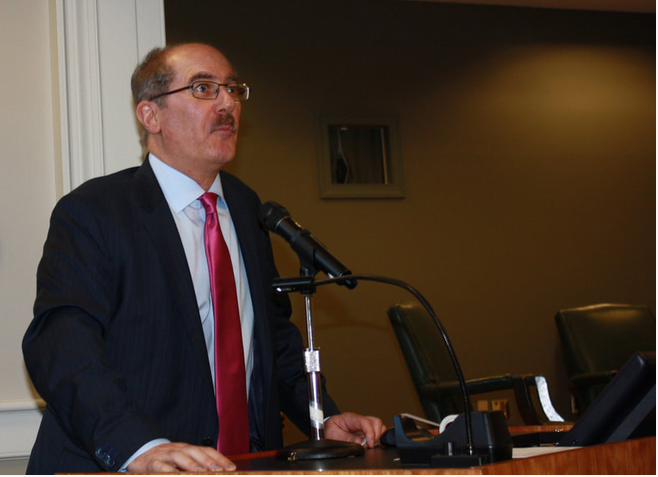 2019, March 29 - "Transatlantic Relations and the Shaping the Cold War World," 2019 Baker Peace Conference on International Cooperation and World Order since 1945, Ohio University, Athens, Ohio. 2019, January 29 - "Containing China? The U.S., Germany, and the EU & how to deal with the Challenge from China;" University of New Orleans. 2018, Dec. 20 - "U.S.-China-Europe: Conflict and Coperation - the Politics and Economic Dimension," University of Malaya, Kuala Lumpur, Malaysia. 2018, Dec.12 - "The Implication of the US-China Trade Dispute for South East Asia," Nation-Building Institute, Bangkok, Thailand. 2018, December 4 - "Churchill and the Cold War: Summit Diplomacy to overcome the East-West Conflict," Osher Lifelong Learning Institute (OLLI), NC State University. 2018, July 17 - "Multilateralism, Populism, and Europe's Security Dilemmas" - lecture within the panel on 'International and Regional Changes: Perspectives from China and Europe,' conference at the China Institute of International Studies (CIIS), Beijing, China. 2018, June 15 - "China and Germany: Recent Developments" - lecture and discussion at Tongji University, Shanghai, China. 2018, May 31 - "Angela Merkel and German-Chinese relations in the 21st Century" - lecture and discussion at the Beijing Foreign Studies University, China. 2018, February 8 - "Crisis in Germany and the Future of Angela Merkel" - lecture at Carolina Meadows Community, Chapel Hill, NC. 2018, February 6 - "The Waning of Pax Americana? The U.S., Europe and China in the Trump Era" - 'Great Decisions series,' lecture & discussion, UNC-Chapel Hill. 2018, February 3 - "Uncharered Waters: China and Global Security" - lecture & discussion, 'China Development Forum,' at the London School of Economics, UK. 2017, November 18 - "The Dawning of a New Global Order? China, Germany & Donald Trump" - lecture, Carolina Friends of the Foreign Service, Durham, NC. 2017, October 23 - "Germany and China: Bilateral Relations in Past and Present," talk at the German-Southeast Asian Center (CPG), Bangkok, Thailand. 2017, October 21 - "Trump, the EU, and China," 8th Annual international conference 'The Global Commons & the Governance of Unappropriated Spaces,' German-Southeast Asian Center of Excellence for Public Policy and Good Governance (CPG), Bangkok, Thailand. 2017, October 18 - "European Politics: from the end of the Cold War to the Present" - lecture & discussion, City University of Macau. 2017, October 17 - "U.S. Foreign Policy: new directions" - lecture & discussion, City University of Macau. 2017, October 12 - "U.S. Foreign Policy toward China," lecture & discussion, National University, Canberra, Australia. 2017, October 9 - "Trump, Europe and China: New Global Realities" - lecture & discussion, Macquarie University, Sydney, Australia. 2017, October 5 - "The Dawning of a New Global Order? Germany/EU & China in the Trump Era" - lecture & discussion, Contemporary China Studies Lecture Series, University of Melbourne. 2017, October 5 - "The U.S. and the Unity of Europe: A Vision Gone Sour?" - lecture & discussion, University of Melbourne, Australia. 2017, September 27 - "The U.S. and the German election: the state of German-American relations" - lecture, international conference, Tongji Univ., Shanghai. 2017, September 27 - "Donald Trump & America's 'Grand Strategy'? U.S. Foreign Policy toward Europe and China" - 2nd conference lecture, Tongji University. 2017, April 29 - "Europe-USA-Asia: Developments in Asia as seen in the U.S., Europe and Germany," lecture & discussion at the annual meeting of Asia directors of the Konrad-Adenauer foundation, Bali, Indonesia (held in German). 2017, April 26 - "The Trump Administration's Evolving Foreign Policy" - Fudan University, Shanghai, China. 2017, March 26 - "U.S. Foreign Policy and China" - lecture & discussion, international conference, Tsui Chi University, Hualien, Taiwan. 2017, March 24 - "U.S. Foreign Policy under Trump: The China Factor in Transatlantic Relations" - lecture & discussion, Tamkang University, Taipei. 2017, March 23 - "The U.S.-EU Partnership & Donald Trump: Continuity or Discontinuity? - lecture, Dong Hwa University, Hualien, Taiwan. 2017, January 27 - "Making Reality Disappear: The Trump Administration and International Relations" - lecture at the Institute of Advanced Study, Princeton. 2017, January 10 - "The new Trump Administration, Germany, the U.S., and World Order" - paper & discussion with diplomats, German embassy, Beijing, China. 2017, January 6 - "Changes of the Relationships between the Great Powers after the Election of Donald Trump: the China and Russia factors" - lecture & discussion at the Shanghai Institute for European Studies, Shanghai, China. 2017, January 5 - "Deutsche und amerikanische Politik gegenueber China im Vergleich" - lecture at Tongji University, Shanghai, China. 2017, January 4 - "Deutschland vor den Wahlen: Angela Merkel, die ewige Kanzlerin?" 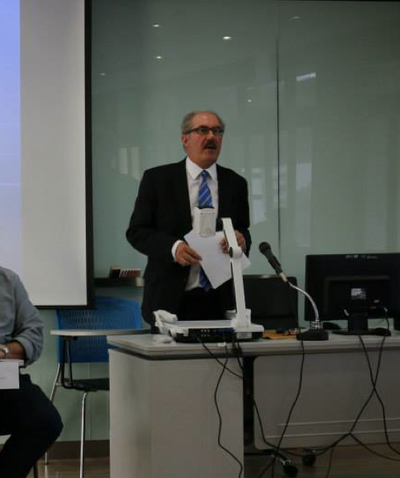 - lecture at Tongji University, Shanghai, China. 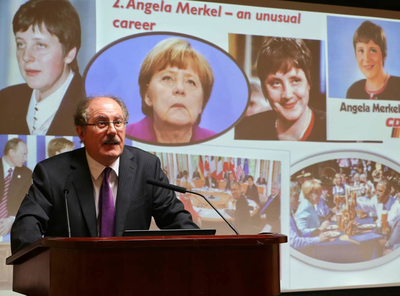 2017, January 3 - "Germany & Global Order: Angela Merkel's Delicate Balancing Acts with China, Russia, EU & U.S." - lecture at Tongji University, Shanghai. 2016, December 29 - "Asia Pacific Defense Strategies of the Major Powers: the USA" - lecture to the international conference 'Will there be peace in Asia Pacific in 2017? ', German South East Asia Center, Thammasat University, Bangkok. 2016, September 16 - "The China & North Korea Factor in Transatlantic Relations" - Krasno events lecture, at UNC-Chapel Hill, NC. 2016, July 8 - "On the Brink of an Epic Clash? the U.S., China, and the Rest," talk at the first annual conference on China Public Policy at the Berlin School of Economics and Law, Berlin, Germany. 2016, July 7 - "China and Transatlantic Relations: German and American policies toward China in comparision," paper given at the University of Jena, Germany (paper given in German). 2016, June 29 - "China and Germany's chairmanship of the G-20 in 2016-17," paper presented to a closed session and briefing at the CCIEE think tank (China Center for International Economic Exchange) in Beijing, China. 2016, June 27 and June 28 - "NATO and the new Russian threat in the East" and "Western Security Policy toward Syria and Turkey," two papers given to the NATO International Summer School (NISA) in Baku, Azerbaijan. 2016, June 6 - "Germany, the U.S. and Global Affairs: German and American Policies toward China and Russia," University of Innsbruck, Austria (paper given in German). 2016, April 15 - "Churchill and Empire" and "Churchill and the Cold War," two lectures given to the UNC-Humanities Program, Chapel Hill, NC. 2016, April 14 - "Germany in World Affairs: German Foreign Policy in an Era of Instability," Carolina Meadows Community Center, Chapel Hill, NC. 2016, April 13 - "The Duel: Angela Merkel and Vladimir Putin: Russia, the West and the Ukrainian Crisis," lecture given at UNC-Wilmington. 2016, April 12 - "Churchill and the Iron Curtain," lecture at the Governors Club, Chapel Hill, NC. 2015, Sept. 25 - "Churchill's post-war politics," paper to the Berlin Colloquium on the career and politics of Winston Churchill, Europa-Akademie, Berlin (paper given in German). 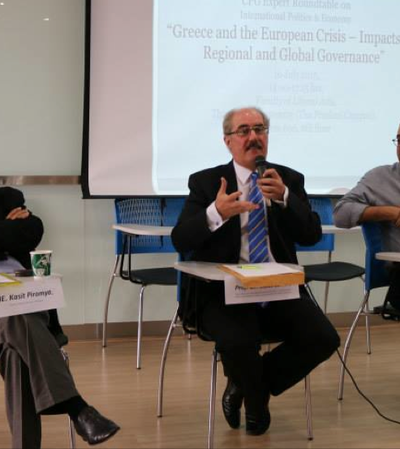 2015, July 16 - "The EU, the U.S., and the Crisis of the West: Greece and the Euro, Putin's Challenge, and China's Rise," lecture at Thammasat University, Bangkok, Thailand, in the context of an expert roundtable on global politics and economy. 2015, June 10 - "Differing American and European Views on the End of the Cold War and how to deal with Putin," short paper, Library of Congress, Washington, DC ('lightning conversation'), Kluge Center. 2015, April 24 - "The Dilemmas of U.S. Foreign Policy," lecture at Carolina Meadows Community Center, Chapel Hill, NC. Angela Merkel’s delicate balancing acts with China, Russia, the EU and the U.S.